Call Metroplex Tech today at (214) 684-0886 to discuss any current or future IT plans or projects. You can also use our contact form to send us an e-mail and we'll response to you immediately. Network Repair Service, PC Maintenance Service in Dallas, Texas, Spyware Review, Dallas At Home PC Repair Service, Free Spyware Download, TX, Storage Area Network, Business PC Service in Dallas, Texas, PC Support, Home Computer Repair in Dallas, Texas, Dallas Computer Network Service, Microsoft Vista Window, Computer Home Repair Service, Texas, Computer Support in Dallas, Network Maintenance, Dallas Computer Consultant Service, PC Hardware Repair, PC Home In Service in Dallas, Computer Outsource Firm, Dallas Network, Internet Service Wireless, and Computer Consulting in Dallas, Texas. Metroplex Technical Service (Metroplex Tech) located in Dallas Fort Worth offers on-site computer virus protection that completely protects computers, laptops, servers and networks of virus attacks. 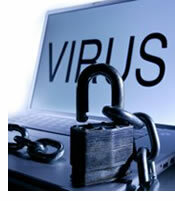 If you suspect that you have a computer virus, please contact us at (817) 717-5539 so we can help. 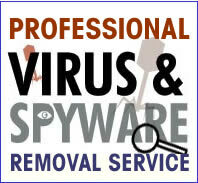 We also clean virus infections from desktop PCs, laptops, personal and business computers and servers. We work on all popular computer brands such as Compaq, HP Hewlett Packard, IBM Lenovo, NEC, Toshiba, Alienware, Dell, eMachines, Gateway, Acer, Sony and many more. We can install, update and support these brands of home, business and enterprise level anti-virus application suites. We support these and other anti-spyware programs. Ad-Aware, Bugoff, CWShredder, Counterspy, Ewido, HijackThis, NoAdware, PestPatrol, Real-time protection, Rootkit Revealer, Spy Sweeper, SpyCatcher Express, Spy Hunter, SpySubtract, Spybot - Search & Destroy, Spyware Doctor, SpywareBlaster, System Safety Monitor, Windows Defender, Windows Malicious Software Removal Tool, Winpooch, XoftSpySE and Zerospyware. Please contact us for more information on any software. Email us and we will respond back with 24 hours. Call us at (817) 717-5539 for a tech to visit your home/office. Submit a support ticket with your description of the problem. We travel all over the greater DFW Metroplex supporting and maintaining personal and business computers, servers and networks 24/7. You can be assured we will be there for you when you need us most.